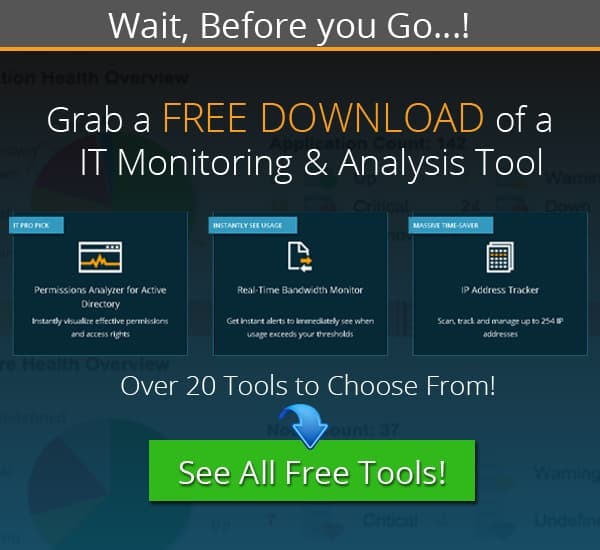 Best Router Monitoring Tools & Software for Cisco, Juniper, Sonicwall, etc! When you have a business to maintain and keep running, it is often difficult to keep tabs on important information like data usage, bandwidth usage, uptime, QOS services, and more besides. There are plenty of other features that you need to keep an eye on as well, such as individual internet usage for your employees, as well as general connectivity and speed. If you run a Wide Area Network (WAN) in your organization, then you will be all too familiar with the importance of keeping all of your sites connected at all times. To do this effectively, you need Router Monitoring software that will keep you informed about any possible issues on any of your devices, and in extreme cases, when a router has gone offline. 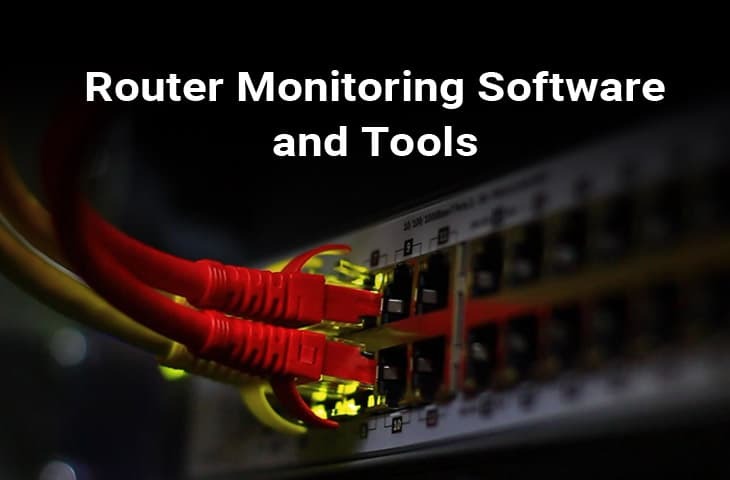 Router Monitoring Software really helps with the troubleshooting phase of technical issues, as it will help you to work your way backwards to the events preceding a failure. These logs and alarms will have important clues and information within them which will help you to uncover the root cause of the failure. We will Review and Take a look at some of the best monitoring tools for your router, with support for a wide range of manufacturers such as Cisco, Juniper, Mikrotik, and more! Let’s see what we have on our review list below. SolarWinds knows that when it comes to monitoring the health and performance of your routers, firewalls and switches, that there is no room for error. But many traditional methods of monitoring routers and firewalls are not effective enough or accurate enough to provide a modern network team with the information that they need. 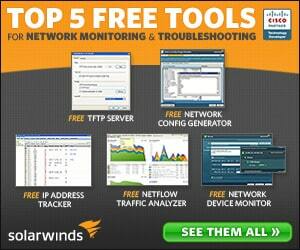 This is where Solarwinds Network Insight for Cisco comes in. This product offers features that are indispensable in a live environment. SolarWinds can help ensure that your network service availability is always high, with continuous monitoring, which ensures that any of the services on your network that are dependent on either your routers or firewall are kept online and running. 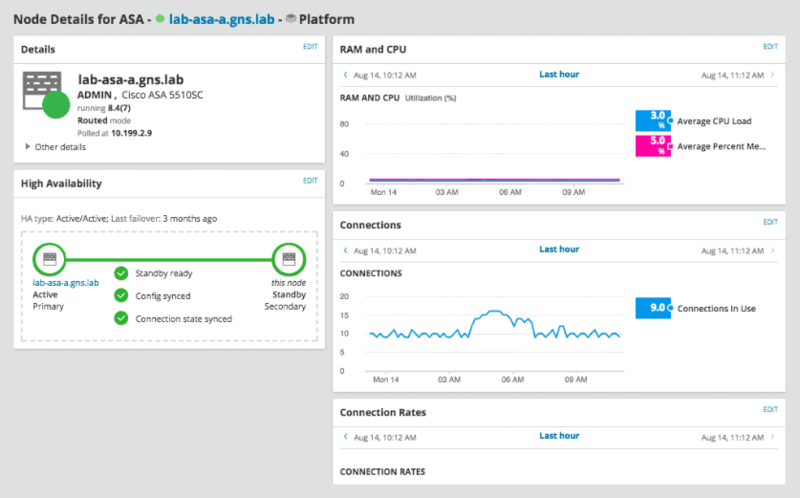 SolarWinds Network Insights for Cisco ASA also offers enhanced firewall infrastructure visibility, which allows users to view the health and performance of multiple devices in a single interface. 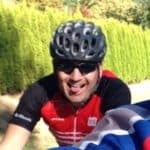 Having a single source of information is important if you are to catch problems as they arise, and Solarwinds has achieved this with this product. Having visibility of your network is important if you are to maintain communications across the regions that your business operates in, including how each site connects to the internet. 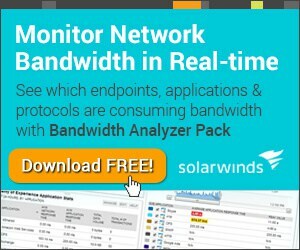 Each office might have more than just a single router that keeps the WAN connected, so choosing a product like SolarWinds makes a lot of sense if you need a system that is both powerful and functional. 30 Day Free Trial, Download Below to Get Started! Paessler has created an all-in-one router monitoring solution that is said to offer functionality and features that make the operation of your network simple, effective and efficient. Users are able to check bandwidth consumption on the network, general network traffic, error message on your routers, and much more. Routers are monitored via SNMP, packet sniffing, NetFlow, sflow and jFlow, providing your team with comprehensive compatibility with the most popular brands of routers. Where PRTG offers even more value is in the way that it tracks suspicious network traffic. This adds an additional layer of security to your networking environment. PRTG is easy to install and can be run on many different platforms, including mobile and PC. This gives the application a practical feel to it as it allows for mobile troubleshooting for traveling technicians and engineers that need to keep tabs on what the many different sites are doing at any given time, all from one easy to use application. PRTG offers good performance and high visibility for your network, while simplifying the way in which you monitor your network. The centralized, easy to use panel will have you up and running in no time. 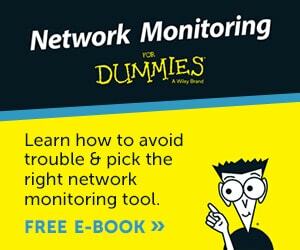 Having an overview of all of your network and sites is vital, so be sure to check out this product if you are looking to setup a network monitoring solution of your own. 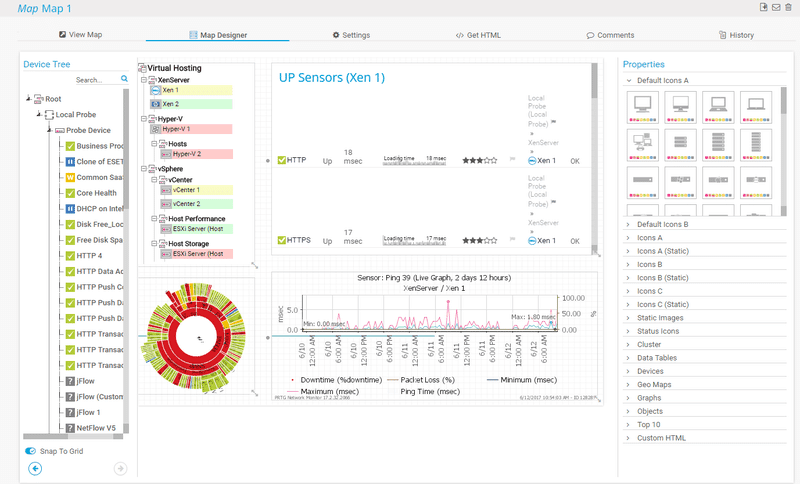 ManageEngine’s router monitoring solution has been designed with the IT professional in mind. It monitors WAN links and the supporting hardware: the routers themselves. It is able to instantly alert you if any services go offline, or if a remote site loses connection with the monitoring software, then an alert is sent out automatically, informing the appropriate support staff about the issue. Other useful applications of this software include bandwidth monitoring and management. This helps companies to either save costs by choosing the appropriate internet package and provider to suit their respective budgets, or it helps the company to identify bottlenecks in the network, with internet usage being one of the primary slow point in many companies. Latency issues account for a massive proportion of technical problems for remote sites, and without the right diagnostic tools it can be almost impossible to figure out what is causing all of the issues that you are currently experiencing. 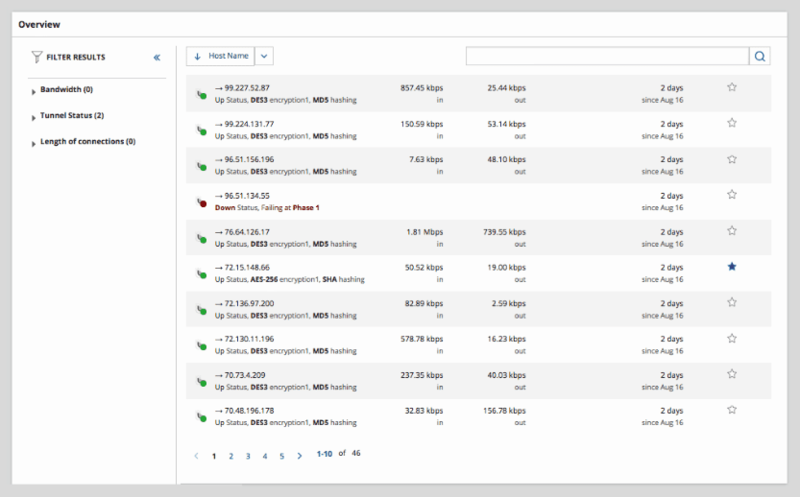 Luckily, ManageEngine’s Router Monitoring solution offers many different tools for identifying and troubleshooting issues, all in one easy to use application. 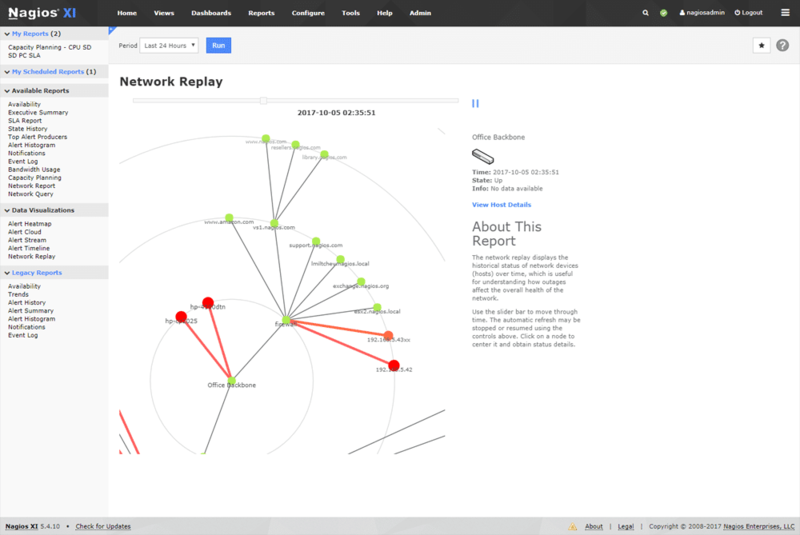 ManageEngine Router Monitoring also offers interface metrics in the form of a graph. 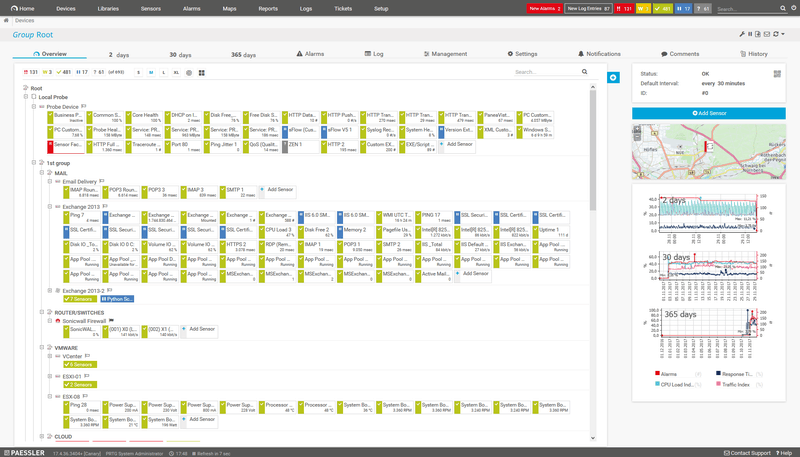 This allows you to look at activity on specific devices and find out where any over or underutilization is occurring. It is a useful tool when troubleshooting connection issues, especially on a router or other network device that is responsible for keeping all of your sites connected to one another. Router monitoring is challenging at the best of times, especially if you are maintaining specialized hardware that requires specific knowledge of a proprietary command line, or difficult to remember commands to perform simple tasks. Some older routers require scripting knowledge and monitoring their activity can be challenging if you do not possess any of these skills. Luckily Nagios Router Monitoring allows users to side step these issues by providing a powerful application that gives greater vision to technical staff that are responsible for maintaining the networks and links throughout your organization. All of these features come together to create a user experience that is both intuitive and easy to use. It makes configuring a network device easy and secure, and the backup and restore functionality makes replacing faulty equipment a breeze. 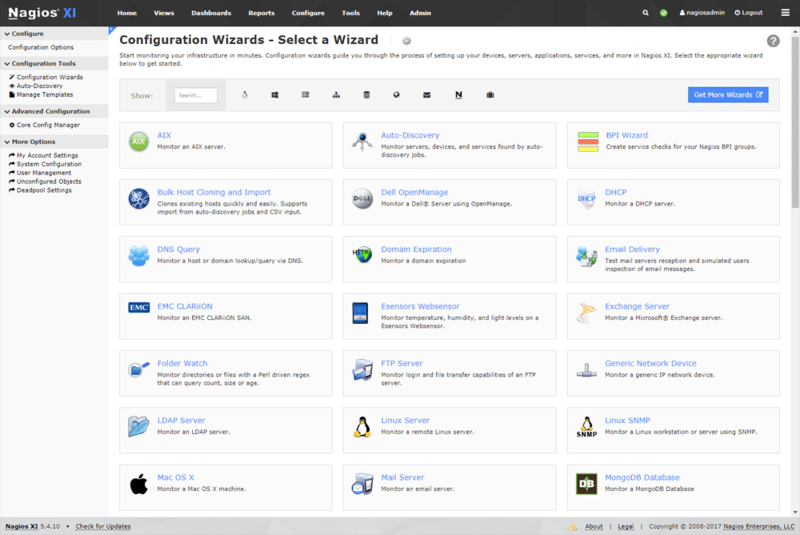 Nagios XI includes all of the tools that you will need to monitor your routers and WAN links throughout your organization, making it a great choice for anyone that wants to simplify and consolidate their networking toolset. There are many more uses for this application as well, making it one of the more well-rounded applications in this segment of the market. Starts at $1,995 for Standard Edition versions of the product. With so many different factors to consider it is easy to see why it can be difficult to decide on a proper network monitoring solution for your routers and switches within your company. Simple ping tools can help to show you how long your devices have been up or down for, and they can be useful to establish whether or not you have network communications running, but they have their limitations. Choosing a full-fledged Network Device and Router Monitoring tool-set will help you to keep an eye on other vital metrics, such as bandwidth utilization, network traffic, QOS, routing and many other important features on your network. From here, users can really get an understanding of what is and isn’t working as expected on the network. Remote sites receive excellent support from having dedicated software checking that the connections are being maintained properly, and reporting and troubleshooting tools are available for anyone that has to show their managers what is happening throughout the network. We hope you have found some interesting information about these products and that they provide you with useful functionality within your own network environment.